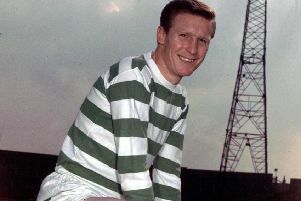 Born: 13 October, 1942, in Hamilton, Lanarkshire. Died: 15 February, 2016, in Monklands, Lanarkshire, aged 73. The death of Walter McGowan has saddened the sport of boxing and will bring back many memories to that sporting generation of Scots who were alive in the 1960s and 1970s when Scotland ruled the ring and prospered on the football pitch as never before. It is a difficult call to say whether McGowan or his contemporary Ken Buchanan was the finest Scottish boxer of them all, for both were great stylists who embodied the “sweet science” approach to boxing. Suffice to say that both world champions were hugely popular in their day. Born into a mining family of ten children in the Burnbank area of Hamilton, McGowan was the son of Thomas McGowan, a miner who fought professionally under the pseudonym Joe Gans in tribute to the great American boxer of that name who was known as the Old Master for his scientific approach to the sport. Thomas McGowan won more fights than he lost but never reached the heights of competing for a championship. He did, however, imbue his son Walter with a classic boxing style from the age of nine. Educated at Greenfield Junior Secondary, once it was realised that he was never going to be very tall, McGowan’s original ambition was to become a jockey and he was a frequent visitor to Hamilton Park racecourse. Yet it was boxing that claimed him. As a teenager, McGowan rose rapidly through the age grades as an amateur and he amassed a quite phenomenal record, winning all but two of his 124 amateur bouts. Standing just over 5ft 2ins and usually weighing 8st or less, McGowan’s speed and skills, which included lightning fast footwork, were coupled with a punching power that belied his stature. In April 1961, at the age of 18, McGowan won the highly prestigious ABA flyweight championship, beating Ray Stacey in the final. At that time the flyweight division in which Scotland had always been prominent – most famously through world champions Benny Lynch and Jackie Paterson – began to be dominated by Asian and South American countries, so a professional career was always going to see McGowan have to travel abroad for the top contests, so domestic success was necessary first. McGowan Snr trained his son hard. Cold baths and five-mile runs were a daily occurrence, and Walter McGowan benefitted greatly, acquiring great stamina. In his first professional fight in August, 1961, McGowan stopped George McDade in the third round of their flyweight contest at the Kelvin Hall, Glasgow. In retrospect, McGowan’s father admitted that they had taken a step up too quickly when he accepted a fight for the Scottish flyweight championship against the experienced Jackie Brown of Edinburgh. It was only McGowan’s third paid contest and the much more experienced Brown won on points. McGowan learned quickly however, and in only his tenth fight he fought a rematch with Jackie Brown who by then had won the British and Commonwealth flyweight championships. In May 1963 at the Ice Rink, Paisley, McGowan won by a knockout in the 12th round to become British and Commonwealth champion at 21. In September 1963, again in Paisley, McGowan defended his Commonwealth title against ‘Killer’ Salomon – real name George Clifton Thomas - McGowan stopping the Jamaican in the ninth round. In April 1964, McGowan was named as official challenger for the European flyweight title held by the Italian, Salvatore Burruni of Sardinia. Burruni was an experienced class act and deservedly won on points. In December the following year. McGowan moved up a weight division to challenge for the European bantamweight title held by Italian, Tommaso Galli. The fight in Rome ended in a draw but all but the most biased Italians scored the fight for McGowan. By this time, McGowan had begun to pick up a number of injuries around his eyes and nose. In short, he was what is known in the boxing trade as a bleeder. Cuts were to bedevil him from then on. In June 1966, his long awaited rematch with Salvatore Burruni took place, only this time it was for the world flyweight championship, which Burruni had acquired. At the Empire Pool, Wembley, McGowan boxed brilliantly to secure a points decision. From the seventh round, the Scot had to fight with a badly cut eye and referee Harry Gibbs twice inspected it before allowing McGowan to fight on. ‘Wee Walter’, as he was known to his Scottish fans, returned home to a hero’s welcome. In September 1966, again at the Empire Pool, McGowan fought Alan Rudkin for the latter’s British and Commonwealth bantamweight titles. Despite suffering a cut eye McGowan held on for a close decision in his favour. In December that year, McGowan defended his world title against Chartchai Chionoi in Bangkok, Thailand. Fighting in front of the King of Thailand, the wily veteran Chinoi took the title after McGowan suffered a badly cut nose from a clash of heads early in the fight, the referee eventually being forced to stop the fight. In the re-match at the Empire Pool in September 1967, McGowan’s eyes and forehead bled incessantly and caused the referee to stop the fight in the seventh. McGowan’s next fight, in May 1968, saw him lose his British and Commonwealth bantamweight titles to Alan Rudkin in a contest in Manchester that was voted Fight of the Year. The Liverpudlian Rudkin won by a 15-round points decision, but McGowan emerged with great credit. McGowan fought six more times against overseas boxers, winning them all, but he continued to bleed from cuts and retirement looked inevitable. His last fight was in November 1969 against Domenico Antonio Chiloiro of Italy, which McGowan won on points. He promptly retired from boxing at the age of just 27 with a record of 32 wins, seven losses and a draw. In retirement McGowan owned a public house, and was often seen at the Phoenix Gym of Peter Harrison, father of world featherweight champion Scott, to whom McGowan was close. Though in person he was a personable man who liked nothing better than to chat about his favourites Rangers FC, in later life McGowan suffered from both alcoholism and dementia, so much so that he was declared unfit to plead on an assault charge in 2002, the same year that he was inducted into the Scottish Sports Hall of Fame. In recent years, McGowan stayed in a nursing home in Bellshill, before his death in Monklands Hospital on Monday night. McGowan is survived by a son and daughter and a grandson and granddaughter.